Hill sprints are an anaerobic strength-training exercise designed to improve muscle strength and efficiency and reduce the risk of injury. A typical hill sprint workout consists of several eight- to 12-second speed bursts up a 4- to 15-percent grade with a one-minute walking recovery after each sprint. In an interview with “Men’s Journal,” NFL performance coach Keats Snideman suggests completing hill sprints at somewhere near 95 percent intensity. First-time hill sprinters, warns Brad Hudson, should avoid jumping in too fast. Hill sprints significantly stress both muscles and connective tissues, and should be taken easy at first to avoid injury. Hill sprints, like any good strength-training exercise, strengthen the muscles they target over time. Stronger muscles are less likely to give out during intense workouts. In an interview with Competitor.com, Olympic coach Brad Hudson pointed out this quality about hill sprints. “Your first session will stimulate physiological adaptations that serve to better protect your muscles and connective tissues from damage in your next session,” he said. According to coach Hudson, hill sprint workouts also "increase the power and efficiency of the stride," developing your ability to cover more ground with the same number of strides. 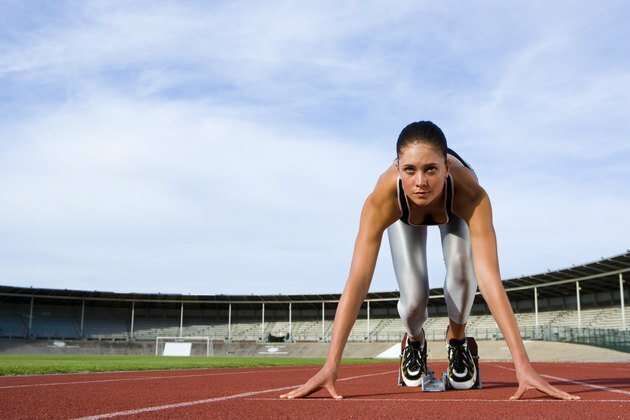 Hill sprints build muscle strength that comes in handy in race situations. They foster optimal muscle efficiency, speed and resistance to muscular fatigue.